You train hard to get in shape - why not show it off? 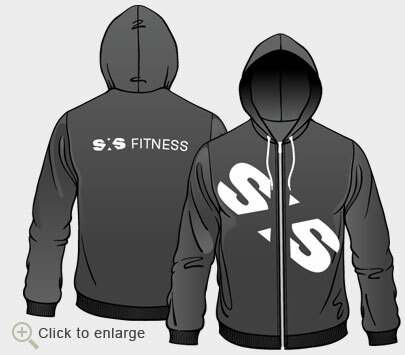 Purchase branded apparel from the SXS Fitness online store including t-shirts, hoodies, and sweatshirts. More items to come in the new year. All appparel is professionally printed on great fitting and form flattering American Apparel clothing. Choose the colour and size you want and add it to your cart. We process credit card payments through PayPal's secure payment processing. You can add multiple items by choosing "Continue Shopping" from the payment screen. 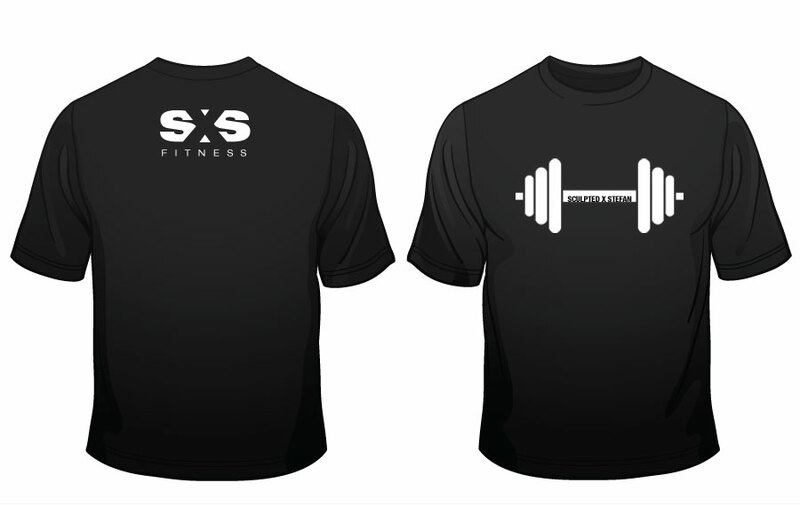 Purchases can be picked up at the SXS Fitness Centre. 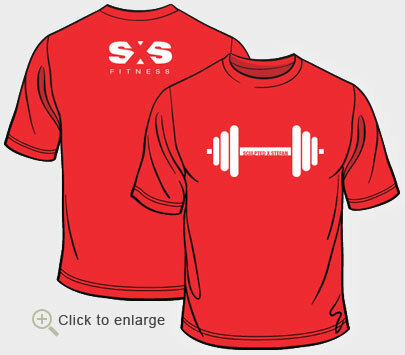 Slim fit American Apparel t-shirts with barbell graphic. The perfect fitting workout shirt to show off all the hard work you've been putting in at the gym. Available in Black, Grey, or Red. 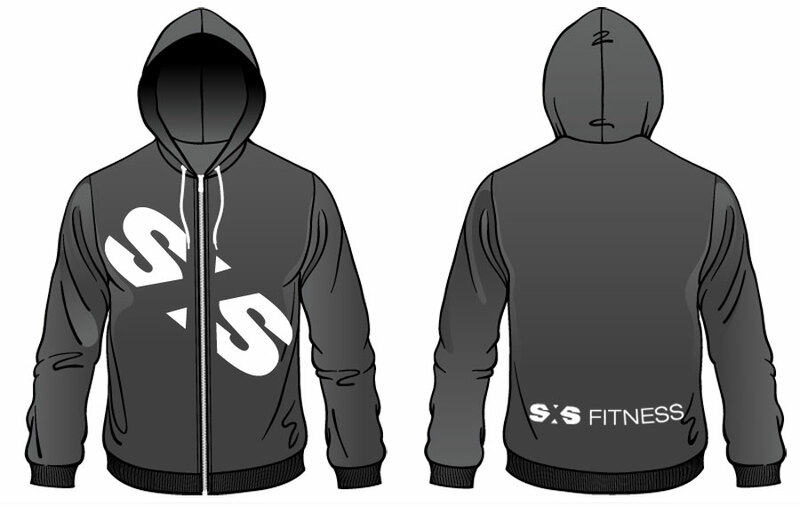 Slim fit American Apparel hoodies with large diagonal SXS graphic. Thin enough to wear under your ski clothes but thick enough to keep you warm before and after a workout. Only available in Grey at this time. 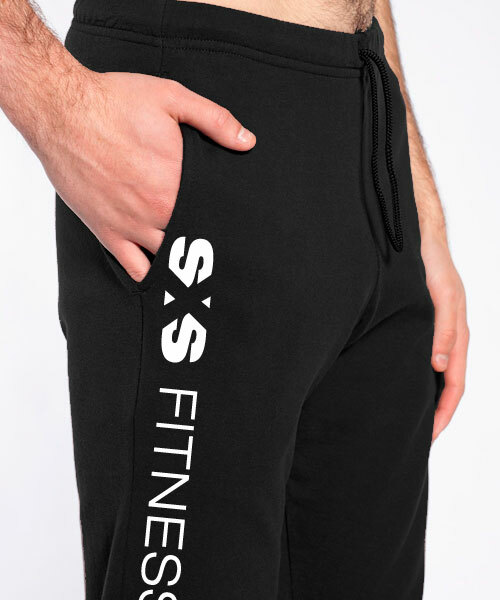 Slim fit American Apparel sweatpants with large vertical SXS Fitness graphic along the leg. Tight enough for a jog in a brisk wind but loose enough to throw down some bulgarian split-squats. Only available in Black at this time.